取消訂單: Pretty rapid invalidation on the BTC today ! Really a crazy market. I'll stay out of this for a little while. Not having a decent risk-reward to short. BTCUSD / 30m : Digesting yesterday's harsh reverval. What exchange do you use to trade in stock market (SPX, DJ, etc)?? 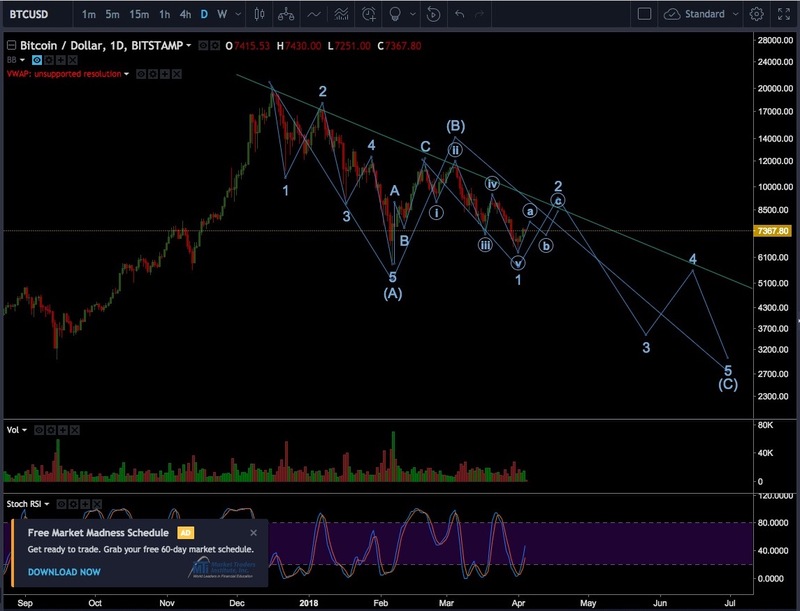 Do you think its possible we are in an ending 5th wave diagonal based on EW? This is what I'm seeing as a possibility, what do you think? man you're so bullish I prefer your crashing market review. Also - GREAT call on AUDNZD. Much thanks!! Back to 7400, then 6300 with Bitcoin, weee.